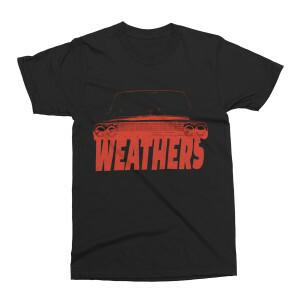 Black short sleeve T-shirt featuring a car grill with the Weathers logo underneath it. This shirt is a print-on-demand item. Please allow an additional 3 days for order processing.